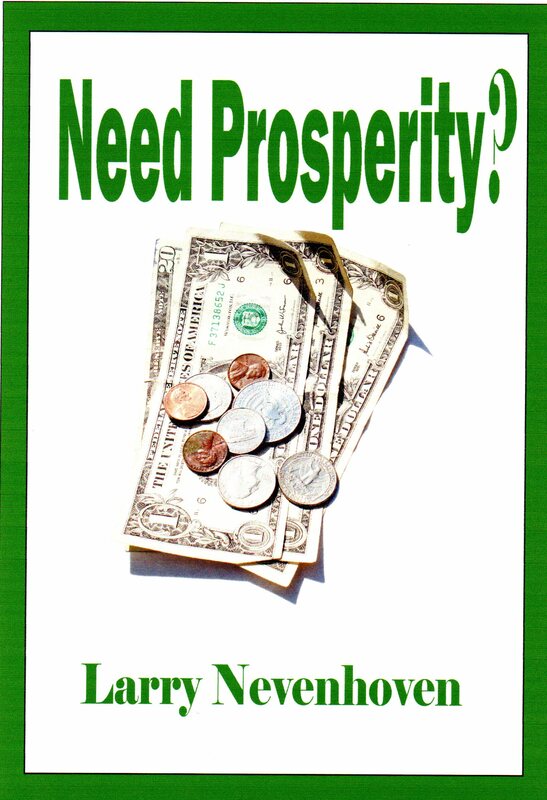 My e-Book, “Need Prosperity,” is Free Today and Tomorrow on Amazon. Get Your Copy Now! If you have a Kindle, Kindle Fire, iPad, Nexus, Galaxy, or any computer with Kindle apps on it, my e-book, Need Prosperity, is free on February 26 and February 27 through Amazon. Prosperity for Christians is a two-sided coin. Then, it dawns on you: Duh! There are no fish with fat billfolds in Third World nations. Hey, the message must only work on suckers like us. But wait a moment, okay? There is also a top side to the coin because the Bible has much to say about prosperity. Just so you know, I’m not a Rolex-wearing, Mercedes-driving, mansion-living, card-carrying prosperity preacher. I am a simple man who has learned some valuable revelations in the deepest financial valleys of my life. The book, “Need Prosperity,” reveals what I’ve had to learn to survive tough times. I really believe it will bless all readers, even those who have been burned by prosperity teachings. Free February 26 and February 27, 2013. So, check it out here and while you’re there check out my seven other e-books here. 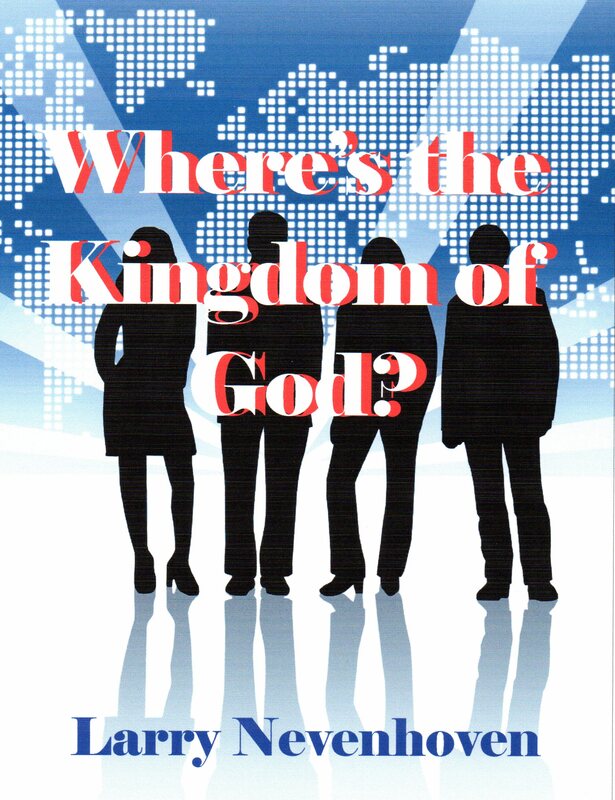 My e-Book, “Where’s the Kingdom of God,” is Free Today on Amazon. Get Your Copy Now! If you have a Kindle, Kindle Fire, iPad, Nexus, Galaxy, or any computer with Kindle apps on it, my e-book, Where’s the Kingdom of God, is free on February 19 and February 20 through Amazon. What was the message Jesus commanded His disciples to preach? If your answer is the “gospel,” then you are almost correct, but you have omitted three important words. Jesus spoke about being “born again” one time. He barely mentioned the “church,” said nothing about the “Bride of Christ,” and talked little about “saving sinners.” His primary message was proclaiming the good news about the kingdom of God. Yet, most of us understand little about the kingdom of God or its benefits for each of us. Where’s the Kingdom of God? is written in an easy to read style which will give you an understanding of the most important kingdom in the world. The seventy-two footnotes will encourage you to dig deeper in your own study time. So, if you are like me and are dissatisfied with our governments and social systems, then you need to read this book. It will offer hope in the one government and kingdom which will never let us down: the Kingdom of God. Free February 18 and February 19, 2013. So, check it out here and while you’re there check out my five other e-books here. 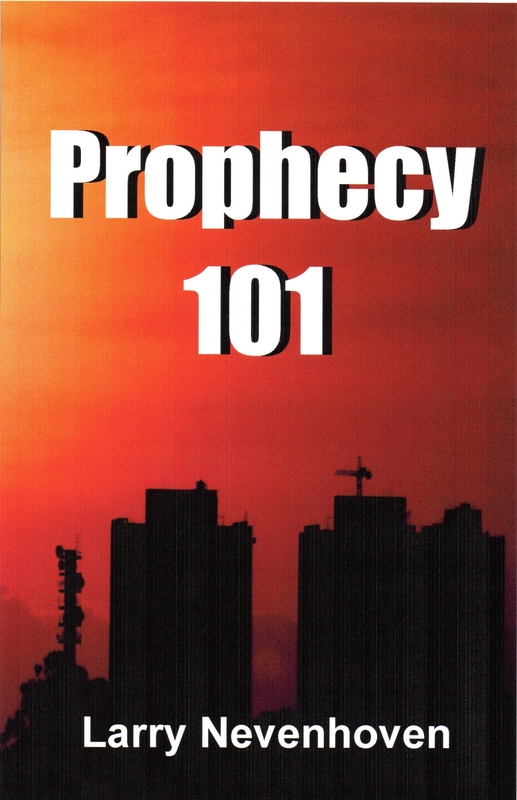 My e-Book, “Prophecy 101,” is FREE Today and Tomorrow on Amazon. Get Your Copy Now! If you have a Kindle, Kindle Fire, iPad, Nexus, Galaxy, or any computer with Kindle apps on it, my e-book, Prophecy 101, is free on February 12 and February 13 through Amazon. Do you prophesy? If not, why not? These may be questions you have not been asked before, or at least, not very often. But did you know that the Apostle Paul asked questions much like these of early Christians? He wanted all to prophesy. The Apostle Paul knew the early Christians needed prophecy because of their perilous times. Famines, persecutions, wars, and even shipwrecks awaited many of them so they needed warnings ahead of time from God. Prophecy through fellow believers provided one of the best ways to accomplish that task. On May 20, 1985, I planned on committing suicide, but a businessman spoke prophetic words to me which ended up saving my life. As you can probably guess, I am fervent for prophecy and like the Apostle Paul, I believe all should prophesy. You see, just one prophetic word might change your life, a family member’s life, a neighbor’s life, or a stranger’s life. And who knows? Lives might be saved because you prophesy. Prophecy 101 contains 58 simple lessons that I have learned over the last twenty-seven years on how to prophesy. The book is filled with scriptural and personal examples in a quick reading format. FREE on February 12 and February 13, 2013. So, check it out here and while you’re there check out my five other e-books here. 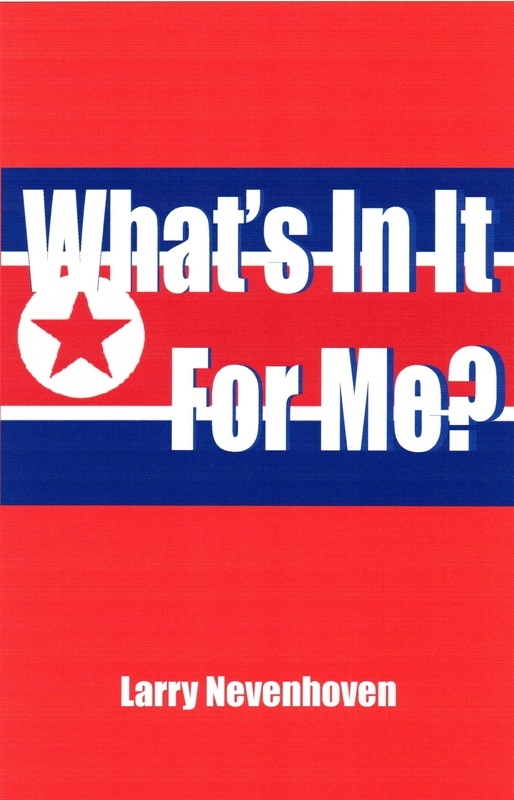 My e-Book, “What’s In It For Me,” is Free Today From Amazon. Get Your Copy Now! If you have a Kindle, Kindle Fire, iPad, Nexus, Galaxy, a computer, or smart phone with Kindle apps on it, my e-book novel, What’s In It For Me?, is FREE February 5 – 6, through Amazon. Why should we care about Asia? After all, don’t we American Christians have enough problems without adding to our loads? So, what’s in it for me? Two thirds of the world’s population lives in Asia, with China and India accounting for approximately 60% of the total population. Less than 5% of Asians know the Lord and many have never even heard of Jesus. Thousands of Christians are imprisoned for their faith in China, North Korea, Vietnam, and Laos. Other believers are harassed and murdered. Millions now face starvation with no hope in sight and gendercide is being carried out against females in China and India. “What’s In It For Me?” reveals how helping the least, the Asians and its prisoners, may be divine insurance policies for our own futures, especially us inhabitants on the West Coast. This book may be one of the most important books any believer will ever read. Free February 5 and February 6, 2013. So, check it out here and while you’re there check out my five other e-books here.